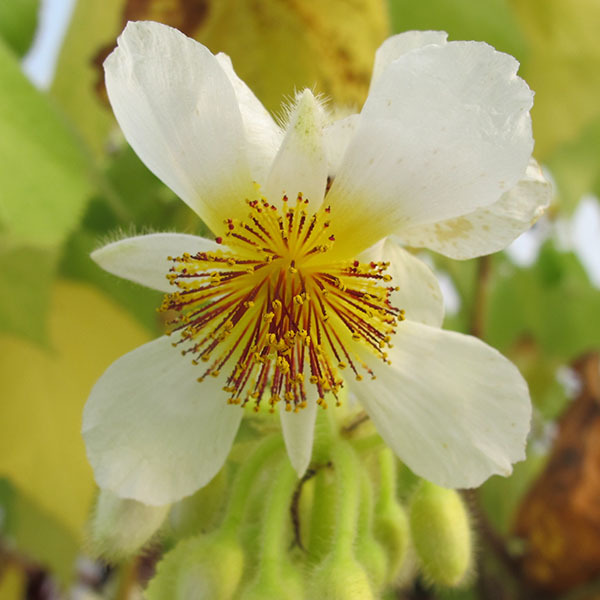 The House Lime, Sparrmannia africana, is not hardy in the U.K. as it needs a winter temperature above 7°C. But it has still gained the RHS Award of Garden Merit (AGM) and is a plant of great beauty and interest. 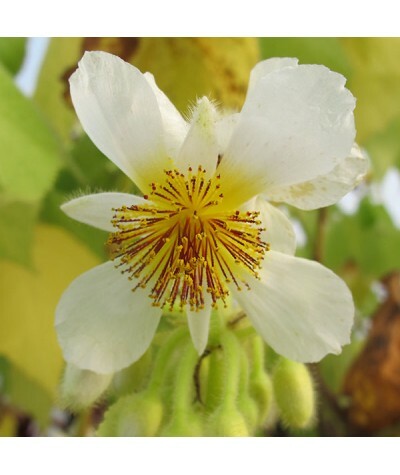 It is a large, fast-growing, evergreen shrub native to the open woodland of South Africa (although the leaves do not look typically evergreen, being soft and downy, resembling our Linden, or Lime Tree). 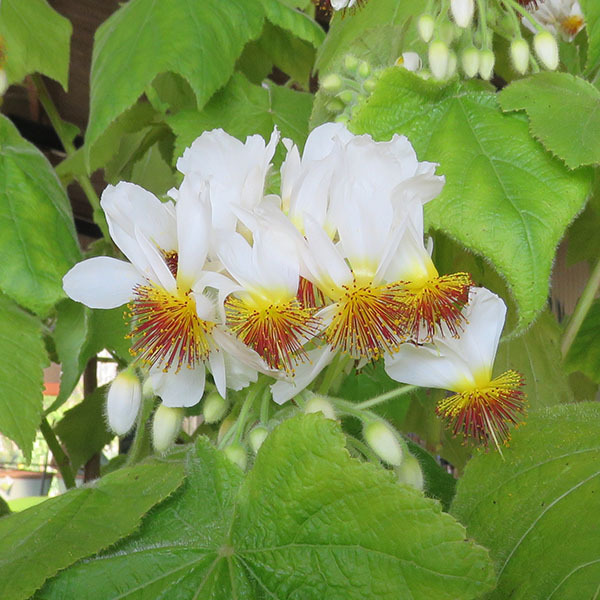 You could grow it for those attractive, large and sculptural leaves alone, but in late winter it produces its crowning glory; lovely, sweetly scented white flowers with stamens of yellow and red that resemble powder puffs. If you were to touch those stamens they would bristle and puff out (a process called haptonasty), which is considered a way to increase pollination by pushing it outwards onto the possible pollinator. 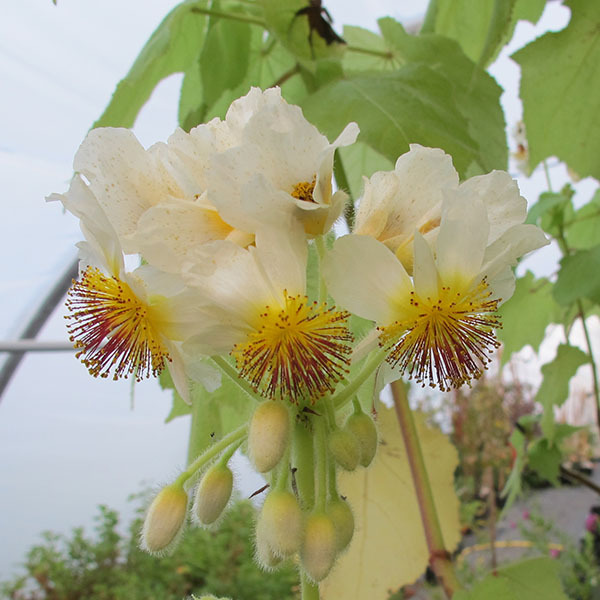 <="" span="">Or you may grow the House Lime for its backstory: The plant is named by Linnaeus' son after Anders Sparrmann (1748-1820), a Swedish naturalist and pupil of Linnaeus the elder. When he was only 17 Sparmann was appointed as Ship's Surgeon on a voyage to China (he didn't qualify as a doctor until 30). Sparrmann clearly had the travel bug as in 1772 he then travelled to South Africa - to the Cape of Good Hope, which was valued by emerging empires as being an important staging post for India, the Far East and Australia. At that time there was no interest in the country itself, or its population, but only in its strategic position. Sparrmann however, travelled into the interior, investigating the flora and fauna, collecting specimens of unknown plants which were later sent home. He was also, by all accounts, the first westerner to try and understand the indigenous population and to record and value their knowledge of the natural world. <="" span="">When Captain James Cook arrived in Cape Town on his second voyage of exploration, Sparrmann joined that expedition as Assistant Naturalist and travelled to New Zealand, Polynesia, Easter Island and the tip of South America, venturing into the Antarctic circle several times. After 28 months, when the mission returned to South Africa, Sparrmann left ship to continue his recording and writings of the local plants and animals. When he eventually returned to Sweden he wrote many papers and books about his experiences, all the while continuing to practice and teach medicine. Anders Sparrmann doesn’t seem to have had the recognition that he deserves, and now every time I look at that lovely House Lime, I think of a brave explorer, excited by all that the natural world had to offer, sharing his knowledge with his compatriots, two hundred years before his time.